Dr. Nita Champion is a licensed Naturopathic Doctor. She received her Doctorate in Naturopathic Medicine from the Southwest College of Naturopathic Medicine (SCNM) in Tempe, Arizona, one of the finest leaders in educating Naturopathic Physicians in the United States. She graduated from the University of Minnesota, Morris where she obtained her Bachelors Degree in Biology and Chemistry. She also worked briefly in the home health care field giving her an appreciation and respect for the geriatric population that is often neglected in today’s society. Throughout her medical training at SCNM, Dr. Champion worked with a number of doctors throughout the Arizona valley but focused most of her training on women’s medicine and classical homeopathy. She studied under homeopathic experts such as Dr. Stephen Messer, ND, DHANP, and Dr. André Saine, ND, FCAH. 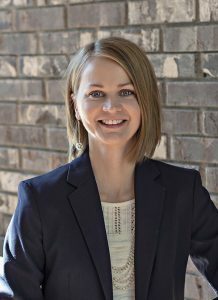 She is also a member of the Minnesota Association of Naturopathic Physicians (MNANP), and the American Association of Naturopathic Physicians (AANP). Dr. Champion treats patients of all ages with a variety of health concerns. Her areas of interest include Family Medicine, Women’s Health, Endocrine and Metabolic disorders. Dr. Champion uses several naturopathic modalities when treating patients with a focus in Clinical Nutrition, Homeopathy as well as Botanical Medicine. She believes in treating the source of the illness and not merely treating symptoms of that illness. In doing so, she will develop a treatment plan that is individualized for each unique patient. When she is not practicing, Dr. Champion loves to spend time in the outdoors with her husband, Dr. Nate Champion, and their two daughters. She enjoys being active with hiking, camping, and volleyball as well as other sports but also enjoys time to herself simply working on a puzzle or cooking in the kitchen.